Krasny Oktyabr Volgograd survived one of the greatest games in Eurocup history by AEK Athens center Loukas Mavrokefalidis to win 94-96 after overtime. Tony Mitchell scored 39 points and D.J. Cooper came within 2 assists of the Eurocup record with 14 to lead the winners. Mavrokefalidis countered with 42 points – he was the first to reach 40 in a Eurocup game in nearly five years – plus 9 rebounds and 4 steals for a performance index rating of 55. That tied the all-time competition record for index rating, which was originally set by Priest Lauderdale of Lukoil Academic in a triple overtime win over KK Zagreb in November 2003. 42 points is also good for the fourth-highest scoring night ever in the Eurocup. The record is 49, set by Randy Duck of Brighton in January 2004. Mitchell’s 39 point-effort is a Eurocup record for a player’s debut game. Viacheslav Zaytsev added 15 points, Cooper scored 13 and JaJuan Johnson 10 for the winners. 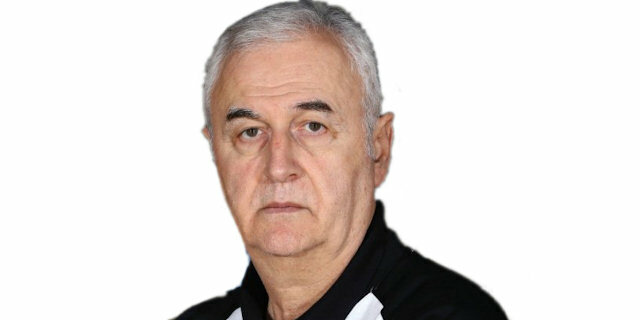 Giannis Kalampokis scored 11 – including 3 free throws to tie the game at the end of regulation – and Nontas Papantoniou added 10 in defeat. Johnson scored Krasny Oktyabr’s first points before Chris Warren did the same for AEK. Mavrokefalidis added 4 straight points as AEK surged ahead 8-2. O.D. Anosike’s tip-in made it 13-4 for the hosts. A pair of Mitchell triples sparked the visitors. Then Johnson scored twice to tie it and Zaytsev contributed a steal, layup and foul in a 1-14 finish to the quarter that left Oktyabr on top 14-18. R.T. Guinn extended the Oktyabr run by scoring the first basket of the second quarter. Mavrokefalidis ended the AEK drought and Papantoniou added a triple before Mavrokefalidis evened the score at 23-23. Chris Warren’s three-point play pushed the hosts in front, 28-27, however Cooper struck twice from behind the arc to put the visitors back ahead, 32-34. Malik Hairston and Zaytsev traded threes before free throws by Mitchel left Oktyabr with a 37-43 halftime lead. Mavrokefalidis kept the pressure on early in the third quarter to bring AEK within 44-46. Warren bagged a triple to put the hosts ahead 49-48. Cooper assisted on the next three baskets as Zaytsev put Oktyabr back in front and Mitchell boosted the difference. A basket-plus-foul by Mavrokefalidis kept AEK close at 52-54. Mitchell, Guinn and Cooper teamed up on a 0-7 run to establish a 9-point difference. Papantoniou connected from deep for the hosts, but Guinn did same and Mitchell rejected Mavrokefalidis at the end of the quarter to protect a 60-68 Oktyabr lead. The unstoppable Mavrokefalidis started the fourth quarter with a three-pointer and then added a three-point play. Before long, Kalampokis tied the game at 70-70 and then drilled a three to cap a 13-2 AEK run. Mitchell put Oktyabr back ahead, 73-74, midway through the quarter. Mitchell tied it at 77-77 with a free throw that gave him 30 points with less than two minutes to go. Then Zaytsev gave Oktyabr a 2-point lead with free throws. He hit twice more from the line for a 78-83 advantage with a minute to play. Mavrokefalidis countered with 5 points, including 2 missed free throws, an offensive rebound and a basket to tie the game. Mitchell came up with a clutch three-pointer, but Zaytsev fouled Kalampokis shooting a three at the other end. Kalampokis made the resulting shots to tie the game at 86-86. Mitchell missed a shot to win it at the buzzer. Cooper started the extra session with a triple before Mavrokefalidis answered inside. Kalampokis soon tied it at 90-90. Mitchell’s free throws were matched by Mavrokefalidis. Mitchell and Mavrokefalidis swapped a basket for free throws again to make it 94-94 with 27 seconds to go. Andrei Mateiunas free throws with 6.6 seconds left gave Oktyabr the lead for good as Kalampokis missed a shot to tie it at the other end. "We lost a chance to start with a victory in the Eurocup. I don't look for excuses. It is obvious that we have a few games and we want time to find our form. We had no solution for Mitchell. I am very sad that we missed that opportunity, but we should find the problem and fix it." "We knew that it was a very difficult game for us. It was an incredible game and we won. AEK played very well. We got lost our rhythm during the match, but we got the win. I want to thank AEK for the hospitality."